The Nebraska Crime Victim's Reparations Act was created in 1979 with the passage of Legislative Bill (LB) 910. The Act provides compensation to innocent victims of a crime for certain expenses related to the criminal act. The Nebraska Crime Victim's Reparations (CVR) Program is funded through the federal Victims of Crime Act (VOCA), state general fund appropriations and 5% of inmate wages earned through federally certified correctional industry programs. 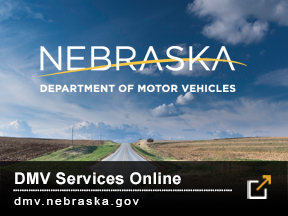 Nebraska Revised Statutes 81-1801 to 81-1842 and Crime Commission Rules and Regulations Title 80, Chapters 1 - 7 govern the operation of the CVR Program with Crime Commission staff providing administrative support. The first victim compensation programs were originally established in Great Britain and New Zealand. In the United States, all fifty states, the District of Columbia, the Virgin Islands and Puerto Rico have Crime Victim’s Reparations programs. When abroad, American citizens are eligible to apply for victim compensation in the following countries: Australia, Austria, Belgium, Bermuda, Canada, Cyprus, Denmark, Finland, France, Germany, Great Britain, the Republic of Ireland, the Netherlands, Norway, the Phillippines, Poland, Portugal, Spain, Sweden, Switzerland and the United Arab Emirates. Though victim compensation programs exist in Columbia, the Czech Republic, Hong Kong and Luxembourg, American citizens are not eligible. In Japan, compensation eligibility is limited to only legal residents of that country. In Israel and Italy, victim compensation is limited to terrorism-related crimes only. To be eligible to receive compensation through Nebraska’s CVR Program, a victim must report the crime to law enforcement within three days and cooperate with the criminal justice system during investigation and prosecution of the case. Nebraska residents who are victims of terrorism in foreign countries are also eligible. Claims must be filed with the CVR Program within two years of the incident and include all required information. Only expenses incurred as a direct result of the crime may be reimbursed. Medical and funeral expenses, loss of wages, loss of earning power, mental health counseling directly related to the criminal act and residential crime scene clean-up are eligible for compensation. Loss of property, pain and suffering do not qualify for reimbursement. Eligible claims are reduced by any insurance, sick leave pay, workers’ compensation, unemployment benefits, etc. received. A maximum of $25,000 per claim may be awarded. Crime Commission staff process compensation claims for consideration by the Commission's Executive Director who serves as the hearing officer. If a claim is denied or the compensation amount reduced by the hearing officer, the victim has the right to appeal the decision to the Crime Victim's Reparations (CVR) Committee. The appeal must be made in writing and received within 30 days after the decision to deny or reduce the compensation amount is mailed to the victim. The victim is notified and must be present at the appeal hearing. If the CVR Committee upholds the hearing officer's decision to deny or reduce a claim, the victim may appeal in district court within 30 days of the CVR Committee's action.